Being in a new working environment is an exciting and sometimes nerve-wracking prospect. You think of all the possibilities and opportunities that wait for you. However, nervousness and anxiety could cloud your excitement and you end up thinking of all the things that could go wrong. Going to work for the first time also comes with getting to know new people, adjusting to a new environment and to the company’s dealings and structures. Knowing all of this, it is important for you to present yourself in a favourable manner. At times, feelings of doubt and insecurity may creep up on you and you may start to feel like you only just made it when you were being interviewed or think that maybe you are not cut out to do the job. You should not be too hard on yourself when the first day finally arrives. Everything is a learning process and that takes time. You will not know everything right at the start. Taking things easy and trusting the judgment of those who hired you is what should get you through the first few days and even weeks. Setting a time frame for yourself to learn as much as you can and to do your best is the kind of attitude that will help you to overcome any anxiety you may have. It can be a bit difficult to radiate self-confidence due to the fact that you are new and are starting to do something you have not done before. It is said that first impressions count, as they give people an idea of the kind of person you are. How you present yourself after getting the job is important, but it should be noted that your colleagues will not be able to measure how good or bad you are at face value. Being emotional or feeling overwhelmed can hinder your thought process. 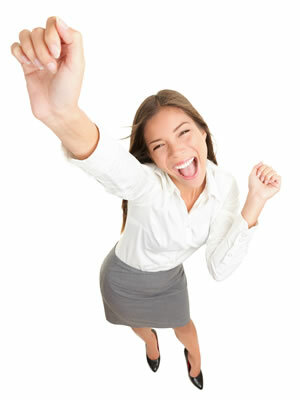 Positive emotions, like being excited help you to work at performing at your peak. Negative emotions like anxiety can have the opposite effect. When you experience negative emotions the brain can be overwhelmed and this can affect a sound thinking process. Our hypnosis sessions offer you a chance to harness only those emotions that will help you to put your best foot forward. Hypnotherapy for the first day at work nerves help you feel more relaxed and eliminating first-day jitters will make it easier for you to give attention to, centre on and ultimately benefit from your new job. Our hypnosis sessions will imprint thought processes that are joyful and tranquil. Our hypnotherapy sessions help people fight fears of insecurity, self-doubt, anxiety, and are designed to work on improving your self-confidence levels and boost your first day at work confidence. George Swan Clinical hypnotherapist has helped numerous people perform at their peak in the work environment and these people can apply what they have learned to other aspects of their daily lives. Need a First Day at Work Confidence Boost?